Born and raised in El Salvador, seventh of eight children, of Indigenous and Spanish ancestry. I was educated in El Salvador until the age of 15 when a civil war forced me to leave the country. 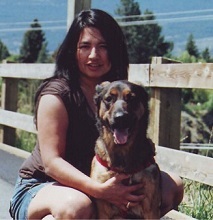 As an immigrant without any extended family to support me in Canada, poor English skills and lack of financial means to continue my education, I worked for several years at a number of jobs, including: assembly line worker in an auto parts’ factory, guts remover at poultry processing plant, donut shop sales clerk, telemarketer, janitorial worker, nanny and housekeeper prior to enrolling in University. I completed a Bachelors of Arts from the University of Western Ontario in 1998 attending school part time while working full time and raising two children with my partner Stuart Richardson. I am presently enrolled in the PhD program in the Faculty of Education at Simon Fraser University while working full time to pay the bills. The book is an invitation to instructors in education, anthropology, women’s studies, and labor studies to re-imagine education as the praxis for liberation, renewal, and hope. 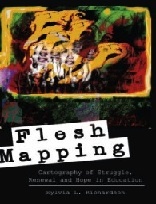 It serves as a process of naming the injuries inflicted on real bodies by privilege and power, like sites on a map. The goal is not simply to name and make visible privilege but to simultaneously create emergent spaces of dissonance in education that can challenge and transform power at the site where the personal is political. Charles Boylan from Co-op Radio’s (Discussion Program) interviews Sylvia Richardson host of Latin Waves on her new book.